BMW of North America will recall a handful of vehicles containing broken control arms. If you are an owner of a lemon BMW X6, contact Allen Stewart’s team of experienced lemon law attorneys today. 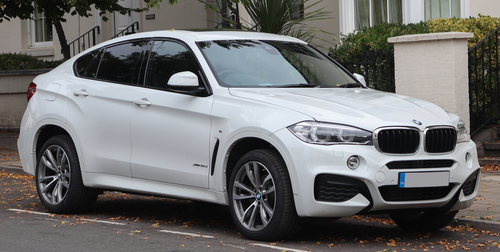 The Westwood, New Jersey-based manufacturer sent the National Highway Traffic Safety Administration (NHTSA) a safety recall report on Sept. 28, 2018 stating they will recall 108 2019 BMW X6 sDrive35i, X6 xDrive35i, X6 xDrive50i, and X6M vehicles built between Sept. 10, 2018 and Sept. 20, 2018. The affected vehicles were built with rear upper control arms with insufficiently hardened pivot bolts. This bolt can eventually break, compromising vehicle handling and control and increasing crash risk. BMW stated in its recall chronology engineers noticed damaged control arms during vehicle assembly on Sept. 12, 2018. BMW contacted the control arm supplier, THK Rhythm Automotive of Tillsonburg, Canada, who discovered certain rear upper control arms didn’t undergo proper hardening procedures. The supplier reviewed its records and determined the quantity and range of affected control arms, determining which vehicles received affected parts. BMW decided to conduct a voluntary safety recall on Sept. 21, 2018. BMW will notify owners and dealers will replace both rear upper control arms for free. The recall will begin Nov. 12, 2018. Owners may contact BMW customer service at 1-800-525-7417. Consumers can also visit the NHTSA’s website and enter their VIN to see if their vehicle is included in any recalls. Visit LemonLawUSA.org for more lemon law news.